Everyone knows that chocolate is bad for dogs. But there are a lot of things out there that you might not know about, that are much more deadly. One of these is a plant called the Sago Palm. 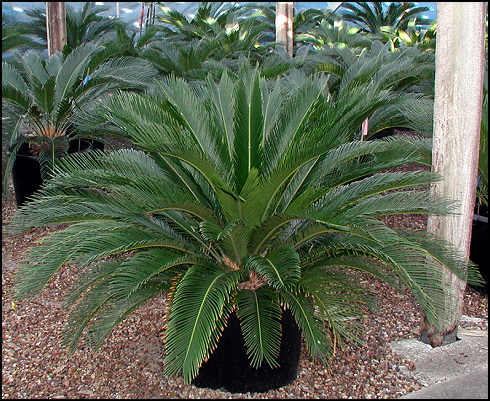 Sago palms, or Cycads, are a very popular ornamental plant. They are EXTREMELY prevalent in Texas–you will have a hard time driving down the street and not seeing one. Unfortunately, they are also highly toxic to dogs–probably the plant I worry most about dogs ingesting. 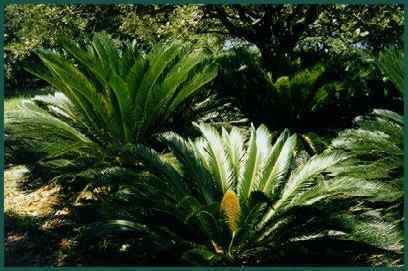 All parts of the sago palm are toxic. The seeds are the most toxic part, but the leaves and stems are as well. An ingestion of any amount is an emergency. If you catch your dog eating the plant, it’s important to get them to a vet immediately. Your dogs best chance is for your get to induce vomiting as soon as possible after ingestion, before they even start to show signs. If it’s too late for this, then the treatment will be supportive care. The most common signs of sago palm toxicity are vague–vomiting, diarrhea, and lethargy. But the true damage is done internally–the sago palm can quickly cause liver failure, kidney failure, shock, and death. Treatment may require lengthy hospitalization, and still may not be successful. The best case scenario is to avoid the plant all together. If you have one in your yard, get rid of it, even if your dog has never shown any interest. It’s just not worth the chance, and there are other pretty plants. Be aware of what your dog is doing when on walks–many dogs eat things without even thinking about it. Learn to recognize the plant, and avoid it, especially when it’s producing seeds. Next time, I’ll talk about potential toxin you might not know about–sugar-free gum.